Call Alabama GlasTek TODAY To Schedule Your Auto Glass Replacement! 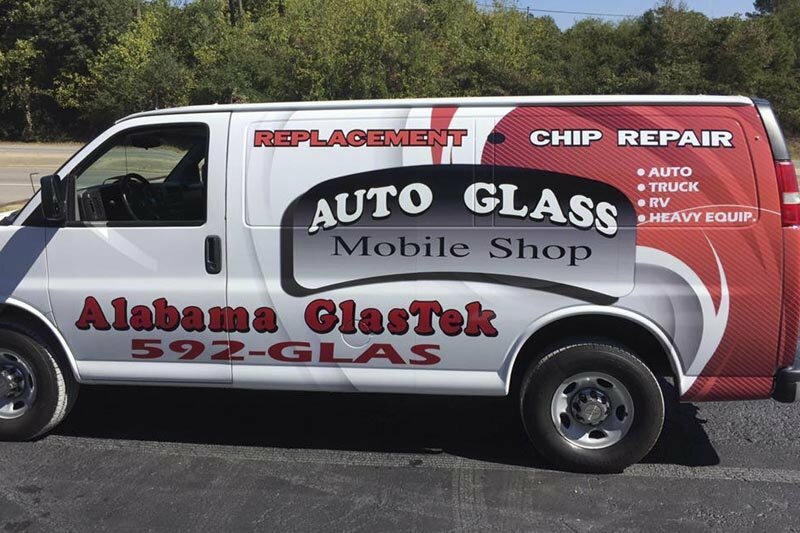 Free mobile auto glass replacement and windshield repair service from Alabama GlasTek is available to all of greater Birmingham, AL as well as all of Jefferson, Shelby, and St. Clair counties. No matter what type of vehicle you drive, the auto glass installers at Alabama GlasTek are trained and certified to handle any break in any year, make, or model of vehicle—from passenger cars and trucks to heavy equipment and vehicle fleets. Alabama GlasTek's free mobile auto glass service is provided from our service center in Birmingham, Alabama. From this central location, Alabama GlasTek's auto glass service trucks are able to meet you at home or work to perform your auto glass replacement or repair anywhere in the greater Birmingham area—from Bessemer to Pell City and everywhere in between. When your auto glass breaks, call the professionals trusted throughout central Alabama for over 20 years. Call Alabama GlasTek at (205) 592-4527. Look for Alabama GlasTek service trucks in a city near you! The auto glass experts at Alabama GlasTek take extra special care on all of our jobs to ensure customer satisfaction. Our mobile service team can travel to your location in Birmingham and beyond to fix your windshield or other auto glass. Give us a call at (205) 592-4527 to schedule an appointment.